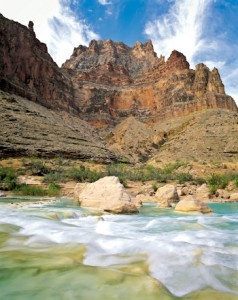 This Grand Canyon whitewater rafting adventure was by far the most exciting trip we have ever taken. The scenery was beautiful. I was honored to be among 2 billion year old rocks. The Western River guides were very informative, and the people I met were the best. The food was fantastic (gained 4 lbs). The rapids were more exciting than any roller coaster and the out door pot had the best view ever, one you will never find elsewhere. Better than sitting there reading the newspaper. I would recommend this experience to anyone physically capable. It does take some strength and endurance. I miss the scenery and the people already. Thanks to all of the guide crew (very experienced and they knew how to handle the boat) and the staff that helped with the reservations.